Mobile shoppers love deals and brands increasingly are offering more of them. Mobile is also driving loyalty program membership, which is then impacting what shoppers buy. This picture has changed over the last year, based on a new study. In the what-a-difference-a-year-makes department, most (64%) brands reported an increase in loyalty program membership over the last year and most of those cited the addition of mobile components as the biggest contributor. Mobile-powered loyalty programs tend to influence customer purchase behavior. More than half (62%) of customers said they make more store visits and purchases because of mobile-enabled loyalty programs, based on the study. This is up from 59% last year. Many brands are closely monitoring their loyalty programs. The majority (64%) of brands saw an increase in loyalty membership thanks to the addition of mobile functionality. This is up from 34% last year. One year ago, only 48% of brands expected a growth in loyalty program membership. Even though it has been around for what seems like forever in mobile terms, SMS is still going strong. More than a quarter (27%) of loyalty engagements by brands are via SMS, still a prime way brands communicate with consumers around loyalty. While many mobile shoppers continually look for deals, many brands want to help those deals get found. In a major change from last year, half (51%) of brands reported using mobile to deliver coupons and offers to loyalty members. Last year, only 12% did this. However, not all the news around mobile and loyalty is positive. Brands who yet to have mobile-enabled programs are struggling to make the investment, based on the study. A large majority (81%) of those brands lack the technical resource, say they don’t know where to start and are insure if their customers will use mobile. That’s up from 71% last year. There’s potential for brands to do even more to increase customer loyalty. One way would to simplify the process for a consumer to get started. More than half (62%) of consumers cited the requirement for too much information and inconvenience as the top barriers to loyalty sign-up. To add even more to that argument, the majority (66%) said they would sign up if the process was simplified via SMS. 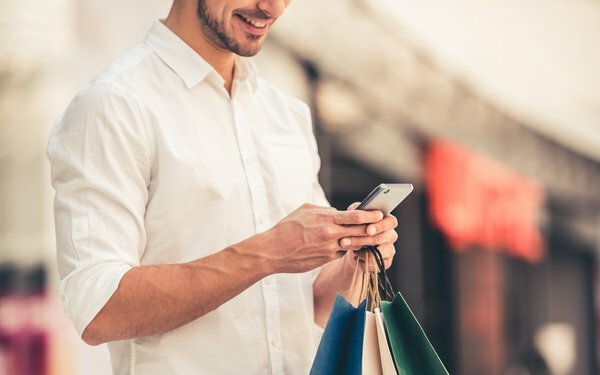 So after all the investments and innovation around location, precise mobile targeting, beacon-triggered ads based on location and various forms of mobile behavioral targeting, a main driver of customer loyalty may come down the old standby: SMS. One more tidbit from the study: integrating mobile loyalty with artificial intelligence ranked number one with customers as the most important feature or benefit of a loyalty program. The number of customers who say they can currently interact with the loyalty programs they belong to using AI: zero.